A private detective firm earned tens of thousands of pounds by hacking into people's computers and bugging telephones, a court has heard. Active Investigation Services (AIS) had a number of "lucrative sidelines" under the title "Hackers Are Us", Southwark Crown Court was told. These included using "Trojan" viruses to enter computers and hi-tech devices to bug phones, the prosecution claimed. Five men associated with the agency deny a total of 15 charges. 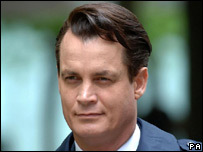 One of those accused is American banking heir Matthew Mellon, 43, who the prosecution claim paid AIS to hack into the e-mails of his estranged wife prior to their divorce. The court was told that Mr Mellon, a multi-millionaire from Belgravia, central London, asked Hackers Are Us to snoop on spouse Tamara, head of the Jimmy Choo shoe empire. Miranda Moore QC, prosecuting, told the court that AIS "carried out bog standard or the usual work a detective agency does" but also "had a number of very lucrative sidelines". The agency's alleged illegal activities brought in tens of thousands of pounds from some clients, she said. Documents found by police during their investigation showed how the firm charged up to £7,000 a month for phone bugging or hacking into a computer, and £2,000 to obtain details about a bank account, Ms Moore told the court. The jury of five woman and seven men heard how the agency used "Trojan" computer viruses, which were hidden inside emails and attacked computers when opened, allegedly created by American-based IT specialist Marc Caron. 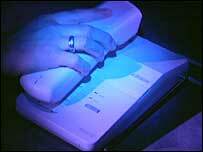 Hi-tech devices used to bug phones were installed by interception specialist Michael Hall, the court was told. Prosecutors said a number of them were fitted to BT's telegraph poles and inside junction boxes, but BT eventually hid a camera in one of the boxes and caught him at work. "He looked for all the world like a BT engineer. If you saw him at the roadside you probably would not think anything of it," said Ms Moore. She said one of AIS's customers was international transport company chief Charles Kay who paid the agency to spy on a business competitor and his former wife, Nagina, after she launched divorce proceedings. When her marriage to Mr Kay began to break down in 2004 she "became aware of odd things happening including an indication to her that her phone line was being tampered with and that she was being followed", Ms Moore said. Mr Kay, head of Slough-based Kay O'Neill Ltd, also paid the agency to snoop on a rival logistics company based in Germany and Hong Kong, the court was told. Jurors also heard another of the agency's clients was Anthony Walters, head of West 1 Bathrooms, who paid the agency to hack into his estranged wife's laptop prior to their divorce. The court was told that some had been dealt with, others had pleaded guilty and were awaiting sentence, some were still to stand trial and there had been no action against the rest.